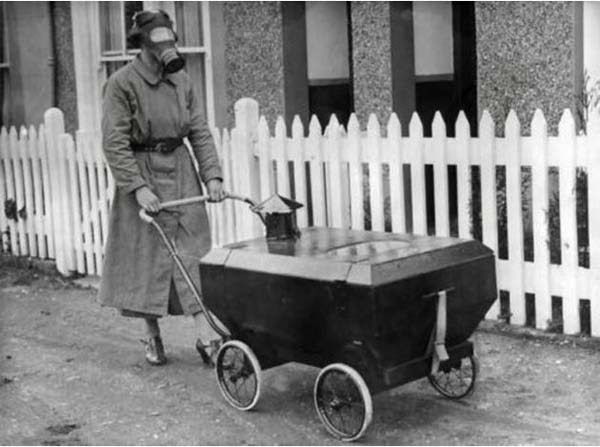 This stroller that would protect babies from gas (1938). 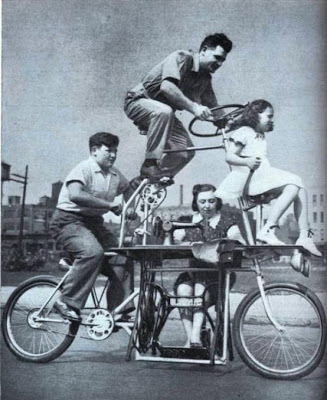 A bicycle that fit the whole family… plus a sewing machine (1939). 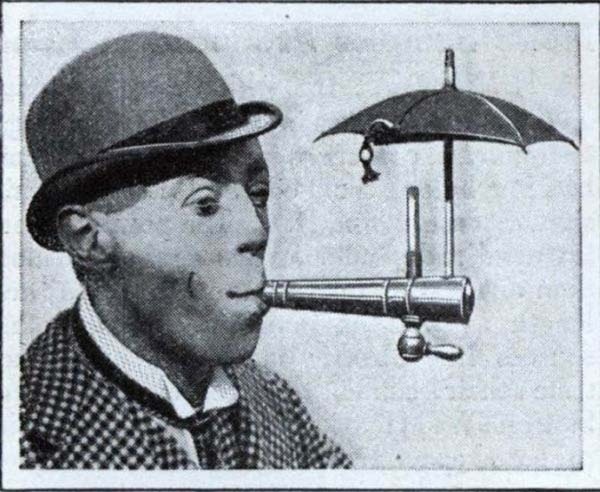 A contraption that would let you smoke in the rain (1931). 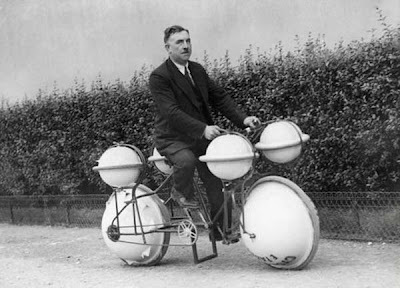 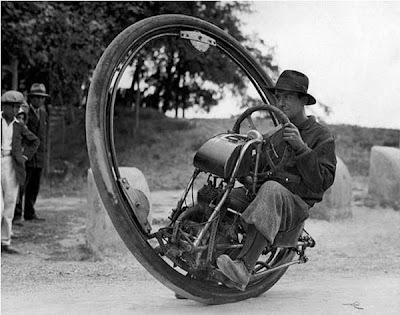 An amphibious bicycle that you could use on land and in water (1931). 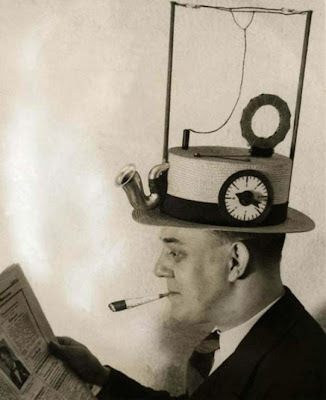 A hat integrated with radio (1931). 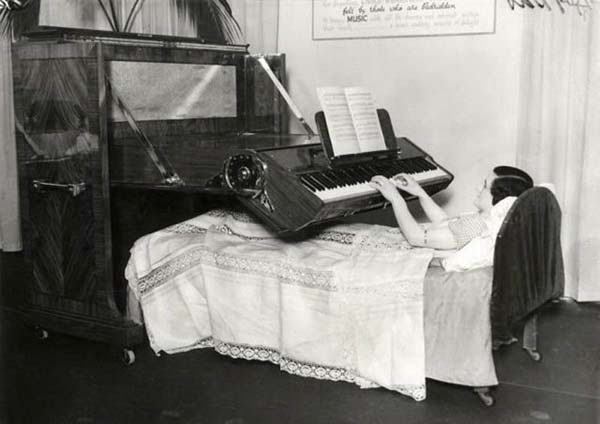 A piano that could be played while lying in bed (1935). 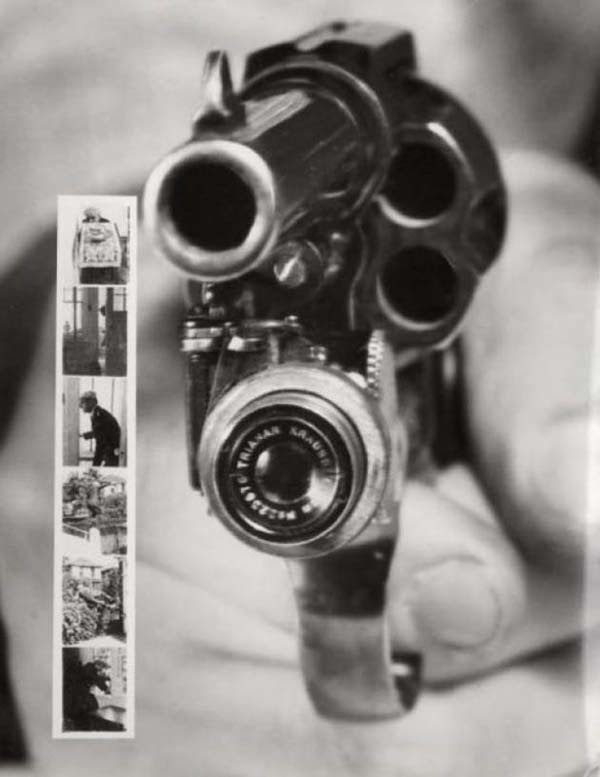 A revolver that takes a picture right before the shot is fired (1938). 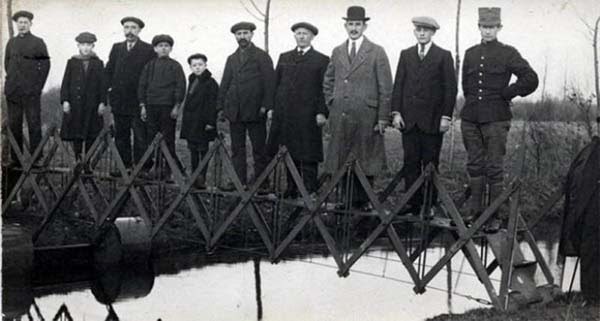 This portable extension bridge (1926). 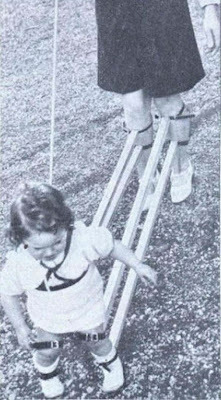 A device that would help you teach your children how to walk (1939).